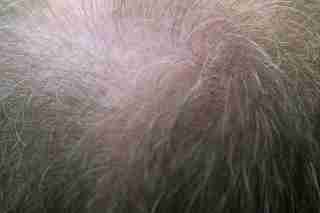 Hair Stylers Club Causes of Hair loss The Main Causes Of Hair-Loss. Lack Of Nutrition:-Nutrition is very essential for growth and development we all know that our body needs Nutrition for growth and development but we don't compare these points to our hairs and we ignore it which causes hair loss but we can do some work if you want to we can give proper nutrition to our hairs with Vitamins, Proteins , Iron any by many things by making some changes in our diet or food and externally we can use some Homemade hair masks which are very beneficial for our hairs nutrition because they give very good nutrition to our hairs externally and very fast. Also, I will suggest some Foods for the best nutrition for your hairs. Mainly lack of biotin effects increases the possibilities more. Biotin helps in the production of Fatty acids in every cell, Amino acids in every cell and also helps in the growth of every cell which is very useful in hair growth. Also, it plays a very important role in a process called Glucogenesis ( a process that leads to the production of glucose) too. which makes biotin more important compared to other vitamins. Sunlight:-vitamin d is mostly we get from the sun but we don't know that sun also gives UV radiation which is very harmful to the skin, as well as our hair hairs and skin, means our scalp so we all have to protect our hairs from excessive sunlight first and before we think about hair loss. Stress:- in the increase in the level of stress the body oil concentration unbalanced because our body especially our scalp increases the concentration of oil in our hairs follicles which decreases the strength of the hair follicles and low strength means our hairs are going to damage. Supplements and Medicines:-in our daily life we take many supplements and many things like that but we don't think about our hairs but today I want to reflect something medicines and supplements doesn't contain many proteins or anything they just excite our body to do more and this effects ur body negatively the all nutrition goes to the body development and the less nutrition goes to the hairs development so this can also cause hair loss. Smoking:-Many Scientific researches shows that smoking is also a cause of hair loss. So my advice is to quit smoking as soon as possible. Hair Maturing:- fuses the incapacitating of the hair shaft, developing of the hair follicle and developing of the hair scalp. Hair developing can be caused by outside components, for instance, oxidative stressors from the earth (i.e. UV radiations), smoking, healthy deficiencies, tainting, etc. Regular components are familial awkward turning dim and androgenetic alopecia. Another hair developing variable can be restorative conditions, for instance, dangerous development, kidney disorder, skin rashes or allergenic reactions on the scalp, chemotherapy, narcotic and that is just a glimpse of a larger problem.